Dickinson is a city in Stark County, North Dakota, United States. Step out of the city life by going to North Unit and South Unit. Get a sense of the local culture at North Dakota Cowboy Hall of Fame and Painted Canyon Overlook. 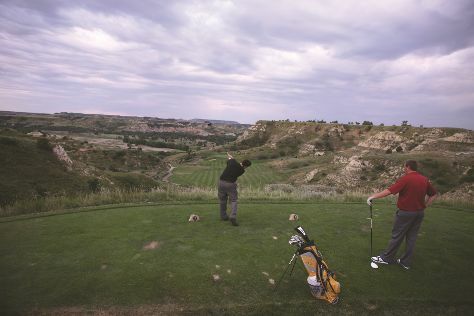 Step out of Dickinson to go to Medora and see Bully Pulpit Golf Course, which is approximately 48 minutes away. There's more to do: enjoy some diversion at West River Community Center. For ratings, reviews, where to stay, and tourist information, you can read our Dickinson travel itinerary creator. Use the Route module to see travel options from your home to Dickinson. Expect a daytime high around 42°F in March, and nighttime lows around 20°F. Wrap up your sightseeing on the 26th (Sun) to allow time to travel back home.